The New Life Concert had conveyed dream and hope to parentless households, and new life to children suffering from heart disease or intractable diseases. This was the 7th concert. On October 22, a timely rain, which had been waited for about 70 days, drenched the earth. 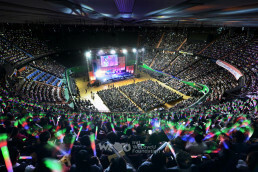 The concert started at the park in Bundang ward office from 6:30 p.m. with about 30,000 members and citizens attending. 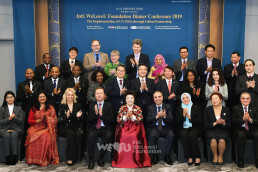 The concert was hosted by the New Life Welfare Foundation and sponsored by Ministry of Health and Welfare, Seongnam City, Commission on Youth Protection, Korea Association for the Prevention of Child Abuse Network [KAPCAN], Sejong General Hospital, Kookmin Bank, Dong-A Ilbo, Kyunghyang Shinmun and Areum Broadcasting Network. Among the invited guests, Korean guests were as follows: New Life Welfare Foundation Chairwoman Zahng Gil-jah, New Life Welfare Foundation Sponsor Chairman Lee Sun-jae, Gyeonggi Province Governor Kim Mun-su, Seongnam City Deputy Mayor Choi Hong-cheol, Bundang Ward Head Shin Hyeon-gab, Korea Youth Counseling Institute Principal Lee Bae-geun, Chairman of the Board of Directors of Bucheon Sejong General Hospital Park Yeong-gwan and his wife Jeong Ran-hui the Representative Director, Seoul Social Welfare Council Chairwoman Yang Gyeong-ja. Foreign guests willingly participated in the concert to share love: Chief of Culture Division of Taipei Mission in Korea Cheon Yeong-chwo and Councilor Wi Chaoping, Deputy Chief of Mission at the Gabonese Embassy Francis Ignanga, Congolese Consul in Korea Mucori Onile, and Head of Netherlands Foreign Investment Agency Korea Harry A.C. van Woerden. 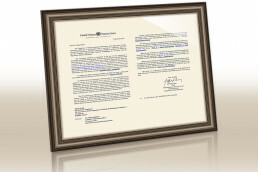 The Gabonese Embassy said that they hoped to cooperate with the New Life Welfare Foundation for children’s welfare. Gyeonggi Province Governor Kim Mun-su praised the members, calling them the “light of the world” and the “angels of this age,” and emphasized that “the members’ love would be hope for all life.” Chief of Culture Division of Taipei Mission in Korea Cheon Yeong-chwo extended his special thanks, saying, “I will never forget that Chairwoman and all the members of the foundation supported the Taiwanese team at the 2002 Busan Asian Game and the 2003 Daegu Universiade,” and he wished the foundation constant growth. 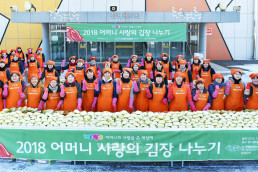 After that, Korea Youth Counseling Institute Principal Lee Bae-geun, and Seoul Social Welfare Council Chairwoman Yang Gyeong-ja valued the members’ careful concern for others, saying that they were deeply moved by that. Through a video message, Minister of Health and Welfare U Shi-min offered his congratulations on the 7th New Life Concert and asked the unfortunate children not to loose hope by remembering that their neighbors were always with them. The beneficiaries pose for a commemorative photo with the guests. At the donation delivery ceremony, a total of 38 unfortunate neighbors received donations. Chairwoman Zahng Gil-jah delivered donations and gifts to the children suffering from heart disease, tumor, or various rare diseases; and Sponsor Chairman Lee Sun-jae to the neighbors in need, wishing this small helping hand to be great comfort to them. Besides, Min-ju, who received her heart operation and was completely recovered by the help through the past Walkathon, attended the concert and pleased all the participants. After watching a video showing joy and sorrow the foundation had shared with neighbors, the concert started with a humorous talk of Kim Seong-hwan, actor and PR Ambassador of the foundation. The New Life Children Choir, a mascot of the foundation, danced to children’s songs and cartoon songs as the concert started; their performance presented hope and happiness to the beneficiary children and pleasure to the audiences. After that, the foundation members Kim Jae-hun and Kim Gyu-min, vocalists Yun Tae-gyu and Lee Seung-hun (who is a PR Ambassador of the foundation) delivered the messages of love with their beautiful songs. Though it rained occasionally, the members watched the concert in good order, wearing rain coats. They waved luminous sticks and cell phones over their heads in response to the performers. Vocalist Baek Mi-hyeon shined the concert with her passionate song, and movie actor Kim Bo-seong and actor Park Cheol also gave messages of encouragement to the beneficiaries. The atmosphere of the concert got hotter by the vocalist Kim Jo-han’s passionate performance. Vocalist Namgung Ok-bun who came hurriedly from a province to attend the concert showed her best performance despite the rain. The concert dropped the curtain as all the performers came up onto the stage and sang a song “With Love” along with audiences. 30,000 members, who didn’t leave their seats despite the rain, wished the concert to be a timely rain of life for the children suffering from diseases. In the journey of our lives, we often face trial and hardship; but only love will remain as a beautiful memory forever. The 7th New Life Concert will remain as an unforgettable memory to all the people who participated in this concert with love for neighbors—the members, citizens, guests, performers and beneficiary families as well.